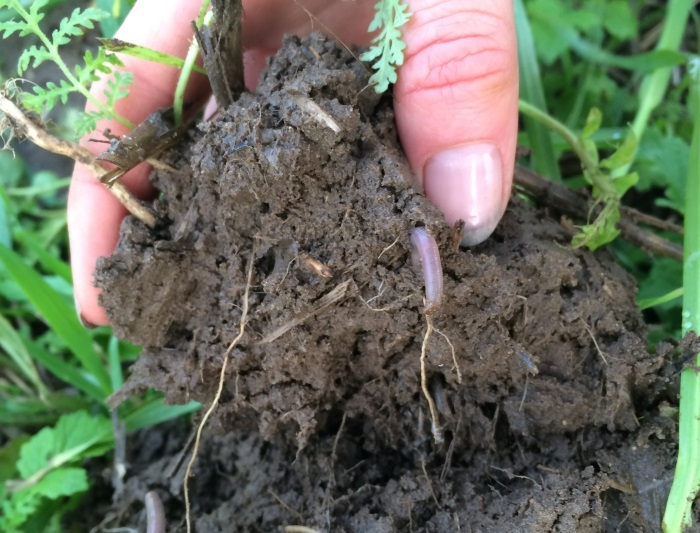 Good soil health is fundamental to agricultural productivity and sustainability, however in order to actively manage soil resources for optimum crop performance, it is vital to be able to measure and monitor soil health. Hutchinsons Healthy Soils is the new and innovative service that does just this, and will be launched at the Cereals Event. The bespoke report that is produced through the Healthy Soils programme, details findings that bring together the experience of the agronomist and the historical knowledge of the client to modify farm practices in order to encourage soil OM to build and fauna and flora to flourish, whilst also increasing the moisture holding capacity of the soil. “As a business we truly believe that in delivering a complete service that measures and monitors soil health which creates a much better understanding of soils so that yields and overall farm profitability will benefit – for the long term, ”says Andy Hoyles, Hutchinsons nutritional development manager. Mr Hoyles points out that although soil health is predominately seen as a function of biological activity, it is influenced by the dynamic interactions that occur between the physical, chemical and biological components of the soil, so it’s important to understand and monitor all of these. Physical components of soil are determined by the amounts of sand, clay etc and how these combine with organic matter determines the soil structure – and soil structure affects the movement of air and water through the soil and therefore crop establishment and tolerance to environmental stress. Biological components: this is the amount of humus organic matter in the soil which provides a long-term source of energy and nutrients for beneficial fungi and bacteria. Humus organic matter is in the form of long chain polymers, capable of binding sand, silt and clay into stable soil aggregates, while at the same time providing exchange sites for nutrients and improving water retention. Chemical components: this is the impact that soil chemistry has on soil microbe interactions to microbial growth promotion. Soil chemical properties also regulate microbial growth rates directly through nutrient availability. This affects the rate at which microbes release plant available nutrients. Cropping and Cultivations review – crop rotations, cultivations, drainage. Key soil/field features picked up by aerial images. Vess Test –visual evaluation of soil structure to 1m depth. Infiltration Asessment – ability of water to permeate through soil profile indicating any issues with structure, capping etc. Soil Health & Texture test – sand, silt and clay composition, while soil health is assessed using techniques such as the Solvita C02 burst test. So how can this information help to improve yield potential? A Healthy Soils audit looks at all of these components and using Hutchinsons precision agronomy software Omnia, links the information to yield potential. Based on the information gathered, Omnia analyses the local field data and information alongside regional information to calculate a theoretical potential yield that should be achievable. “The variance between the potential yield and what is actually currently being achieved can then be explored to identify what are the critical limiting factors which need to be addressed,” he says. To find out more about Healthy Soils, visit Hutchinsons at stand 926 during the Cereals Event.